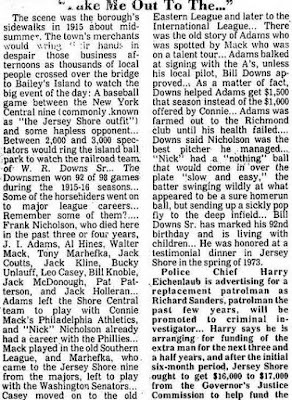 Last week, the Washington Post had an article about a pitcher who missed his one shot at the big leagues when his scheduled start for the Phillies was rained out. 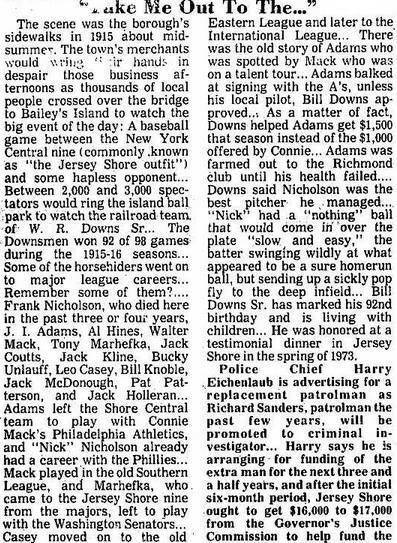 That reminded me of another pitcher, who did not miss his one chance with the Phillies -- Frank Collins Nicholson. He pitched a total of six innings over two games in 1912. He was my great-great-uncle. 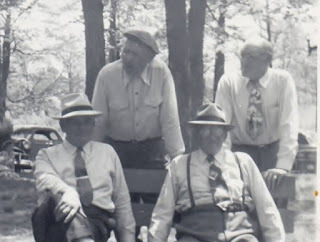 In the family photo, he is the guy in the back with the hat. 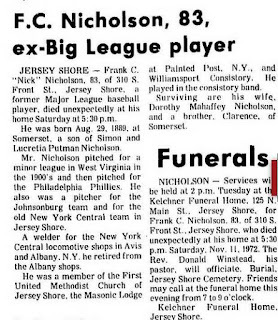 He is next to his brother Elwyn Nicholson. In the front are his other brothers Clarence "Fat" Nicholson, and William S. Nicholson, my great-grandfather. Thanks to my Aunt Pam for the picture. 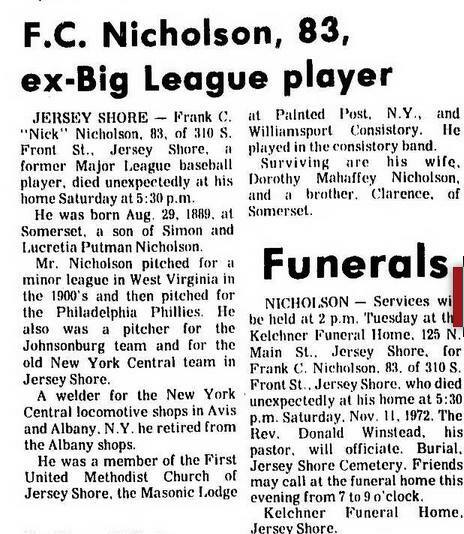 And here is a remembrance from his hometown paper shortly afterwards. 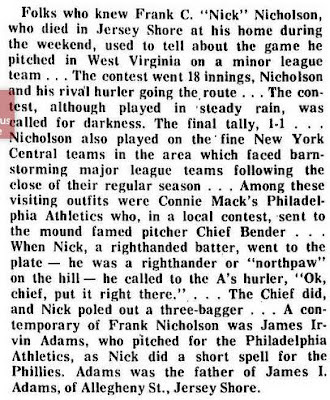 It recounts when, as a minor-leaguer, he faced the major-league pitching of "Chief Bender" and "poled out a three-bagger." 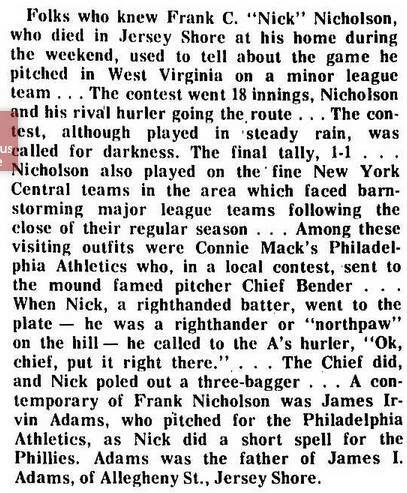 And here is another story about his game against Chief Bender and the Philadelphia A's. 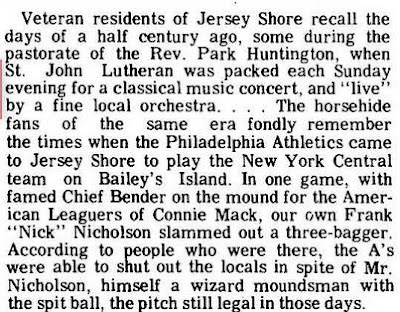 It contains my favorite line, which is thank Uncle Frank was "a wizard moundsman with the spit ball."